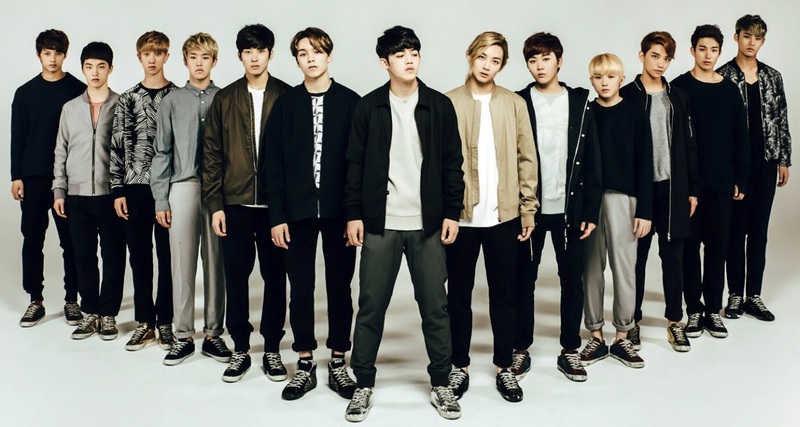 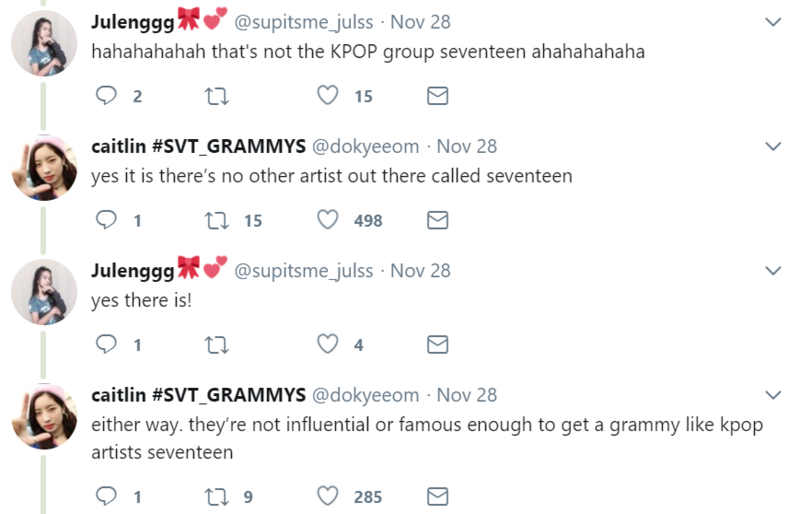 New York (AP) – Korean artists SEVENTEEN have understandably impressed the entire world with their music in 2017, and on Tuesday their work was validated when the Recording Academy announced that the male collective had earned an impressive 30 nominations for the 60th Annual Grammy Awards. 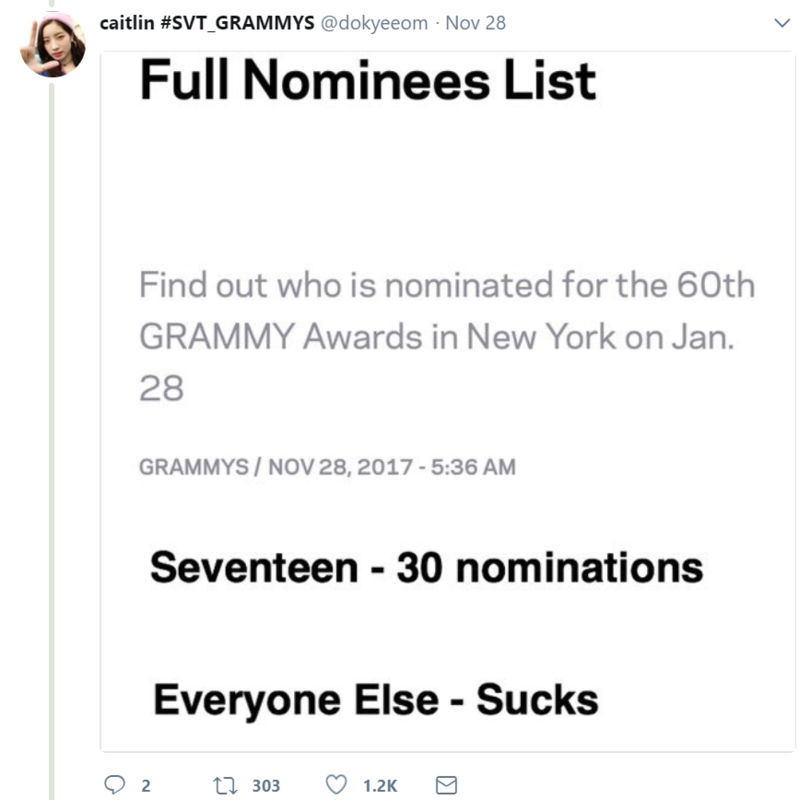 Unfortunately, conspiracy theorists refused to believe the announcement that SEVENTEEN had achieved 30 nods at the Grammys. 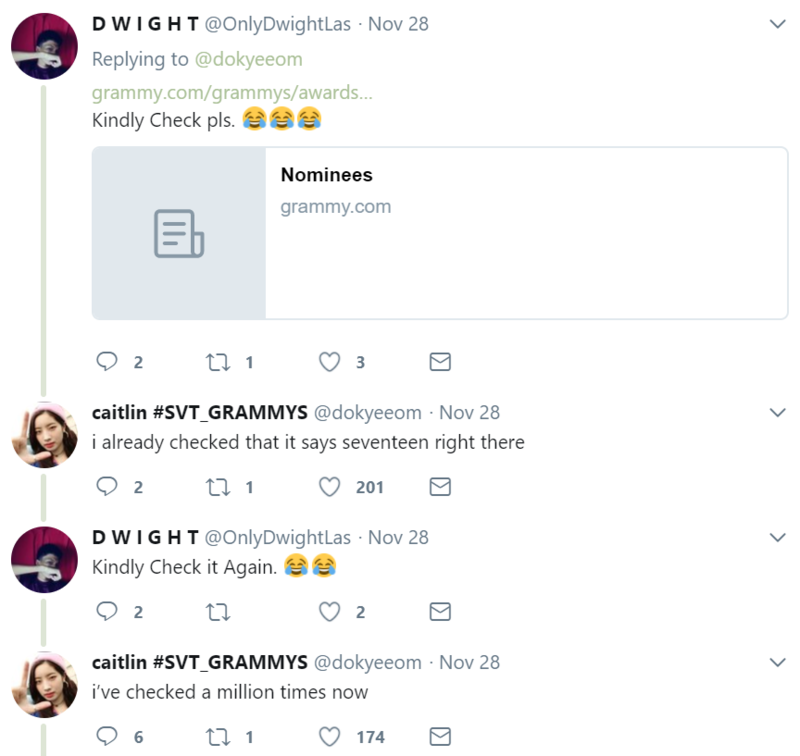 However, their claims were quickly shot down by Recording Academy President @dokyeeom. 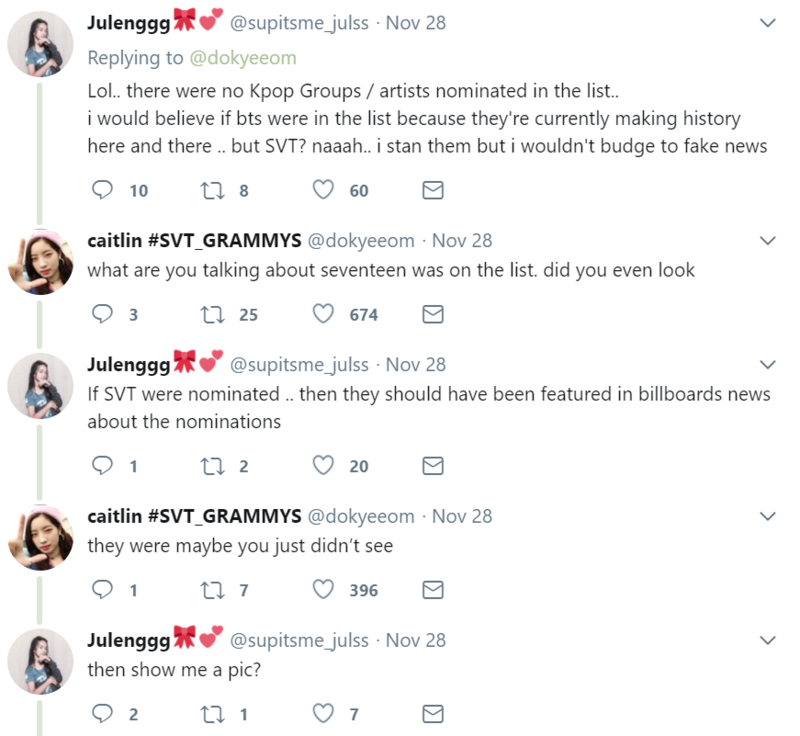 Can you please show us the proof of that "30 NOMINATIONS"
Then show me the others now. 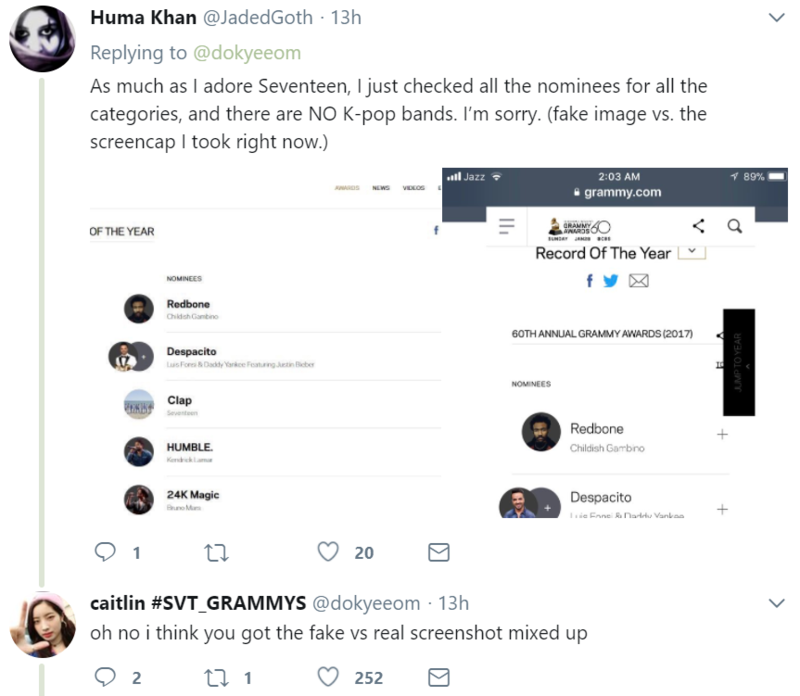 As you can see, the President simply countered with factual information and that should’ve been the end of the discussion. 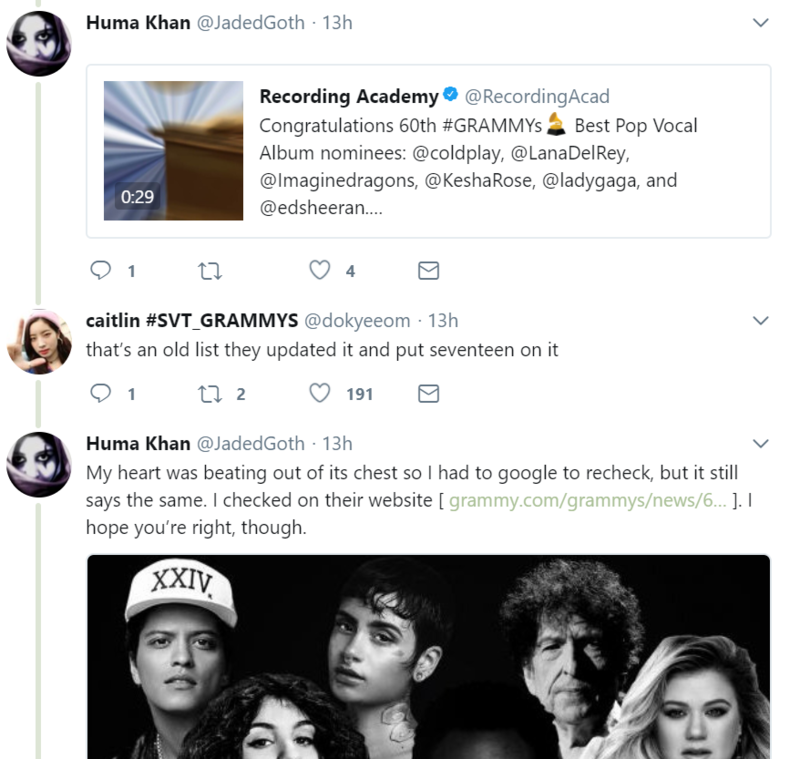 Unfortunately, the conspiracy theorists continued to claim the news was fake, which led to many other unfortunate interactions for the President. 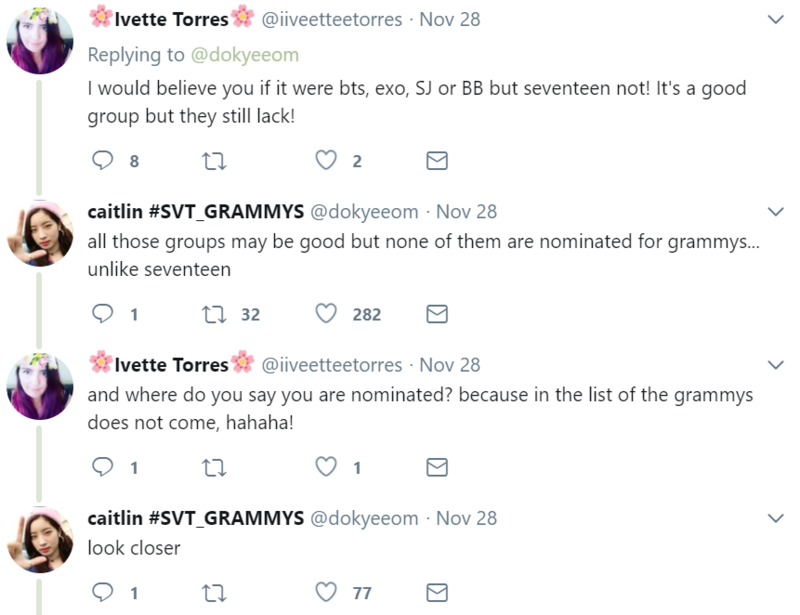 Fortunately for SEVENTEEN, none of those interactions with toxic individuals will matter on January 28, 2018 in Madison Square Garden, where they are factually, definitely, absolutely nominated for 30 gilded gramophones at the 60th Annual Grammy Awards.